To say that divorce is unpleasant is a profound understatement. But for Christians, choosing to proceed with life after divorce in a way that honors God can lead to unspeakable joy, including the joy that is often found in a subsequent marriage. Transparently sharing lessons from his own divorce and remarriage, Mark Youngkin presents strategies for proceeding from the heartbreak of a shattered marriage. 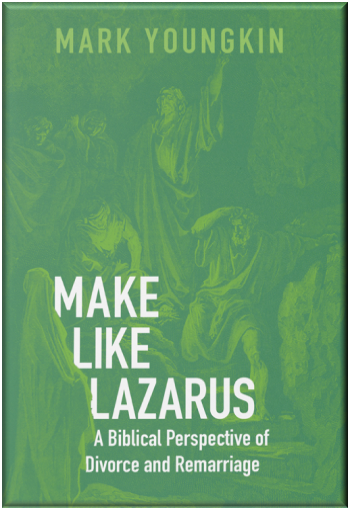 Just as Jesus told Lazarus to come out of His grave, He calls each of us who has experienced divorce to return to life as well. It can be done—and doing it His way is the best way.